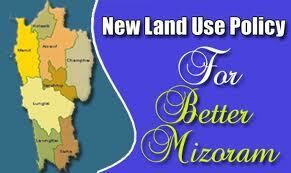 Aizawl, Feb 15 : Mizoram chief minister Lal Thanhawla today appealed financial institutions operating in Mizoram to help the beneficiaries get optimum benefits from the state's flagship project New Land Use Policy. Speaking a state credit seminar organised by Nabard, Lal Thanhawla appealed the banks to provide working capital loans to enable the NLUP-assisted farmers to harness optimally the productive capacity created with their newly acquired assets. "Banks may also extend orchard maintenance investment loans for the purpose where the NLUP assistance has been phased out and plants are stabilised," he said, adding that close coordination between banks and NLUP line departments would go a long way in reinforcing the benefits of NLUP. The Congress government's flagship project would provide sustainable occupation to around 1.2 lakh families, thereby gradually eradicate the primitive shifting cultivatioon which about 70 percent of the state's farmers still depend. "Our farmers need a helping hand from the banks so that they switch over to the settled cultivation from the present unsustainable practice of jhum cultivation," he said. The CM was happy that the Nabard consultancy services has taken up third party monitoring and evaluation of NLUP, and he was optimistic that this would yield better results. Although the ratio of priority sector advances to total advances in Mizoram as of March 2012 was well above the stipulated 40 percent, percentage of agriculture advances was much below the RBI mandated target of 18 percent, the CM pointed out. He requested the banks to take proactive steps in devising ingenious ways and adopting innovative strategies to step up the credit flow to priority sector, especially to agriculture sector in the state. The focus of this year's state credit seminar was on "development of rural infrastructure for accelerating inclusive growth." There are 41 priority projects during the 12th Five Year Plan for which the Nabard will sanction Rs 545.25 crore under its rural infrastructure development fund.